A judicial review by a group of campaigners challenging government health policy in England gets under way at the High Court later. The group, which was backed by Prof Stephen Hawking before his death, is fighting the creation of accountable care organisations (ACOs). In some areas, these groups are developing into ACOs - or integrated care organisations as they are sometimes known - which will hold contracts to provide services. The group bringing the case, which includes leading members of campaign groups Doctors for the NHS and Keep Our NHS Public, say an act of Parliament would be needed for the changes. 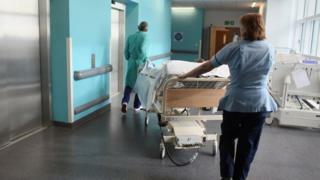 But the Department of Health and Social Care has said the claims are irresponsible scaremongering. The department argues they are simply about making care more joined-up. Ten areas have already started piloting accountable care systems, including Greater Manchester and Surrey, which are part of the government's devolution programme.